Feb 2 (AZINS) The Ministry of External Affairs (MEA) has issued a demarche to the United States Embassy in New Delhi over the detention of Indian students in the alleged immigration scam. In the demarche, India called for the "need for immediate consular access for Indian officials to the detainees" and underlined that the students, "who may have been duped into enrolling in the ‘University’ should be treated differently from those recruiters who have duped them." 129 Indian student along with 8 other individuals were arrested after the US Department of Homeland security busted an immigration fraud by setting up a fake university in Farmington Hills, Michigan state of US. WION has accessed the court documents in which it has been mentioned that each of the foreign citizens who “enrolled” and made “tuition” payments to the University knew that they would not attend any actual classes, earn credits, or make academic progress toward an actual degree in a particular field of study – a “pay to stay” scheme", clearly suggesting they are also considered culpable by US authorities. Eight Indians who were allegedly involved in the scam now have been placed in "removal proceedings" and US Immigration and Customs Enforcement (ICE) has told WION that it will "seek to maintain them in its custody pending the outcome of those proceedings." So far, about 30 Indian students have been contacted by Indian consular officers. Speaking to WION, Surendra Adhana, Deputy Consul General, Indian Consulate Houston said, "Each consulate in the USA is getting consular access to students detained in their jurisdiction. We got these two. There will be a third one in San Antonio (on Saturday) despite it being a holiday"
New Delhi has asked the US to share full details and the updates of the students and asked them to "release them from detention at the earliest and not to resort to deportation against their will." Indian mission in Washington has established a 24/7 helpline -- +1-202-322-1190 and +1-202-340-2590 and an email cons3.washington@mea.gov.in for assistance related to the detention of Indian students. 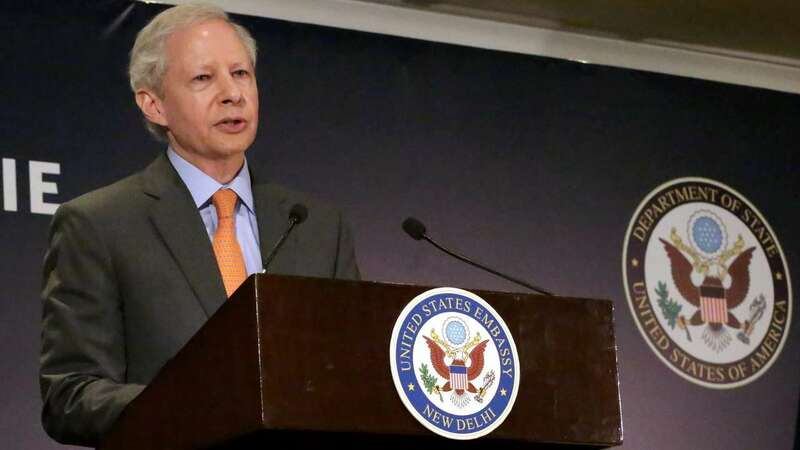 India has said that its Embassy and Consulates in the United States attach "the highest priority to the welfare of the detained students" and "will continue to work with the U.S. authorities and other stakeholders to address the issue."